Any type of swamp ecosystem is an amazing place to visit and explore. These ecosystems are diverse in flora and fauna and around the world many have been home to hunter-gatherer peoples for thousands of years. Swamps are low-elevation fresh, brackish or salt-water wetlands that are dominated by woody plants such as shrubs or trees. Swamps are often associated with rivers and streams, and can be seasonally flooded bringing additional nutrients and allowing animals and plants to disperse. Swamps often include higher and drier areas of land known as "hummocks." Swamp ecosystems are found on all continents of the world except for Antarctica. Some of the most famous are the Okavango Delta in Africa, the Sundarbans in India or the Everglades in the USA. In general, the most extensive areas of swamp in the USA are found in the Southeast. 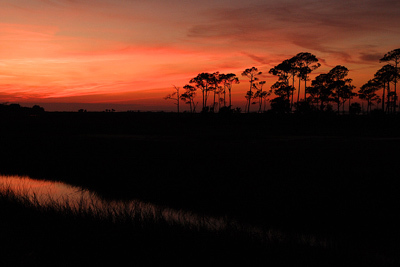 These lands traditionally have been home to the Caddo Nation, Seminole, and Muscogee peoples. The swamp ecosystem produced for all of the survival needs for these peoples. More recently, the Cajun culture that has become established especially in southern Louisiana is based in living in and utilizing swamps for sustenance. Swamp ecosystem can be a challenging place to survive, but they can also be very productive. Let's look at the swamps of the southeastern USA. One of the major survival challenges in swamps is staying dry. The abundance of water can also make travel challenging, which is why in many parts of the world where people are found living in and around large wetland areas they rely on boats to take care of their survival needs. 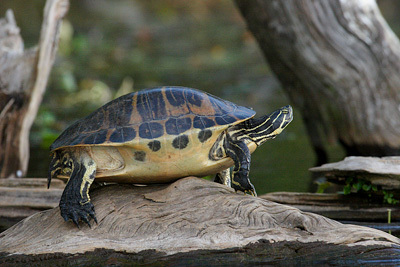 Swamps often have an abundance of fish and turtles as well as a variety of wading birds and waterfowl in southeastern the swamp ecosystem. In addition, raccoons, opossums, muskrats, beavers, nutria, swamp rabbits and alligators can also be found there. All of these animals can be seen a potential source of survival food. One of the best known sources of protein in swamplands of the southeast are the abundant species of crayfish (also called "crawfish", "crawdads" and "mudbugs"). 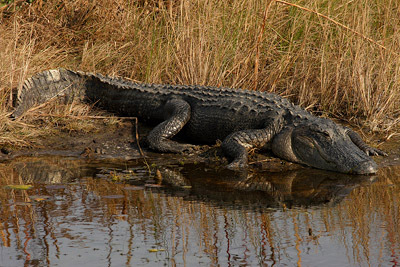 Alligators are also one of the main hazards of the swamp ecosystem, and large ones can be dangerous especially during the breeding season when they are most active and potentially most aggressive. The southeastern USA swamps are also home to variety of snakes, including a few venomous ones such as the pygmy, eastern diamondback and timber rattlesnakes, water moccasin or cottonmouth and the eastern coral snake. Though a majority of snakes in the southeastern swamplands are non-venomous, those species mentioned here should be avoided and not handled or otherwise molested. A bite from one of them is a potentially fatal experience. The fluctuating levels of water in a swampland can itself be both a blessing and a challenge, and permanent structures in such landscapes must be able to adapt to such changes. In some parts of the world, people who lived in or near swamplands approach the problem in different ways. Some built their structures on very tall stilts which kept the structure from being drowned by rising waters. Others adapted by having their structures on floating platforms or large boats that allowed them to float up and down with changing water levels. Some also simply created their homes on the highest ground available. In a temporary survival situation, building a shelter on the highest ground available is often the most successful. Though, there is no doubt that some kind of water-borne craft is incredibly useful. Such a craft could be as simple as an improvised raft formed of large pieces of wood lashed together. Also it is recommended that you sleep on an elevated platform to reduce the hazards created by venomous snakes and rising waters. There are also some edible and medicinal plants found in the swamp lands. Trees that produce edible seeds or other edible parts include: overcup oak (Quercus lyrata), water oak (Quercus nigra), pond pine (Pinus serotina), cabbage palm (Sabal palmetto), hickory (Carya myristiciformis), and hazelnut (Corylus americana). Smaller edible plants include such species as: cattail (Typha sp. ), wapato (Sagittaria sp. ), pickerelweed (Pontederia cordata), southern blueberry (Vaccinium formosum), and blackberry (Rubus sp.). Medicinal plants can also be found in the southeastern swamp ecosystem, and these include such species as: sweet flag (Acorus americanus), sassafras (Sassafras albidum), willow ( Salix sp. ), bog bean (Menyanthes trifolia), sundew (Drosera filiformis and Drosera rotundifolia) and saw palmetto (Serenoa repens). Some swamp plants are dangerously poisonous and should not be handled or consumed. Poison-sumac (Toxicodendron vernix), and its relatives, poisontree (Metopium toxiferum) and poison-ivy (Toxicodendron radicans) are well-known plants that cause mild to severe rashes when touched by people. Wood from these plants should not be burned either, as inhaling the smoke can create the same blistering rash on the lungs and even cause respiratory failure. 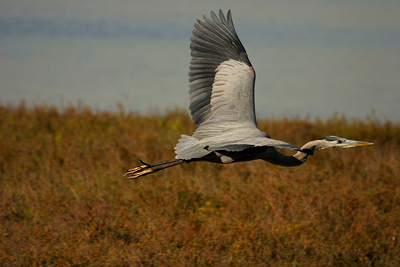 Many wetlands and swamps around the world are threatened by human impacts. Swamps were - and in some places continue to be - drained and turned into pastures, farmland or paved and developed. Species of many plants and animals are threatened by loss of habitat, and some also from over-harvesting by humans for food and collecting. Please remember that swamps are fragile ecosystems, do not harvest any protect species of plants or animals. In a true survival situation, it is reasonable to use whatever resources may be available to you to save your life. But outside of such a situation of dire need, there are many ways to enjoy a swamp ecosystem without doing harm. Wildlife watching, photography, canoeing, and camping are just a few examples. For more resources on survival skills, check out our Wilderness Courses.